Can you believe your baby is turning three? Time goes by too fast, doesn’t it? And this year your child is going to be learning so much. He is like a little person now as you leave the toddler years and head into the preschool years. Can you believe it? A little person. So Let’s see what he will be up to this year! This is also the time period that you will able to start to use a little gem we call “first-then.” Your child should have a good idea of cause/effect as well as a general knowledge about routines and sequencing (i.e. first we put toothpaste on the tooth brush, then we brush our teeth, then we rinse our tooth brush). This means that when your child is throwing a fit for something, you can start to explain that FIRST he must _____ and THEN he can ______. I use this ALL THE TIME with my own children (my 22 month old doesn’t get it yet) and with my clients. With children with delays I use a visual first/then system until they are ready for just the verbal. Anyway…this is a great method to help them understand that they must do something first before they can do something else, and this is the age that is often starts to become effective. Another cool thing during this time period is your child’s ability to understand things beyond right this second. Toddlers basically see the world for the here and now and do not talk about the past or future. But this will all change now that he is entering the preschool years. He now understands that there is time that existed in the past and time that exists in the future and you will see this as he starts to talk more and more about the past and the future. My daughter is almost four and currently in the “I did that when I was baby” phase. In fact, we hear this a lot right now. She also talks a lot about our trip to Disneyland when she was 2.5 and talks about our future trip to Disney we have planned for next summer. Receptively (what he can understand), he will be working on answering who, what, where and why questions of increasing length and complexity this year. At three he may be answering simple questions like “Where do you wear your shoe” but by the end of this year he should be able to explain WHY we wear shoes and WHY we do a lot of other things like take baths and wear our seat belts. In addition to answering questions, he will also be working on being able to follow longer and more complex directions that you give him and will be able to remember more information at once. By the time he is four he should be able to follow directions with multiple steps easily. His receptive vocabulary is growing and growing and he is learning the labels for new things every day. In fact he should be able to understand well over 1200-1500 words. Expressively (what he says) this year will be huge in terms of his vocabulary, syntax and semantics skills (grammar), and storytelling/narration skills. At age three he should have around 1000 words (give or take) and by age 4 he should have closer to 1600 words in his expressive vocabulary. He will be using his words to communicate primarily now and will be using them to request things and activities, label things, describe things, comment on things, asking questions and answering questions. This year he will be learning how to put together longer and longer utterances on increasing complexity. Rather than just saying “I saw a bear” he will be able to tell you all about the bear “I saw a huge, black bear at the zoo, mommy! And he had huge claws and was climbing the tree!” At the beginning of this time, we expect that he is putting 3-4 words together but by age 4 he will be putting endless words together. Towards the end of this time frame, your child should be able to tell people his whole name and (as long as you’ve been talking about it) should be able to tell you what city he lives in and maybe even what state (though the concepts may still be a little hard for him to understand). I feel like this is the most important part of this post. Why? Because the majority of the children that I see for speech therapy between the ages of 3-5 that do not have a medical or behavioral diagnosis (i.e. Down syndrome, Autism, intellectual disability) are coming to me for speech delays. Specifically, for phonological delays with a small number having motor planning delays like Childhood Apraxia of Speech and a small number having fluency delays like stuttering. At age three, your child’s speech should be at LEAST 75% intelligible (understandable) to strangers, despite some age appropriate articulation errors (like wabbit for rabbit and dat for that). If you or strangers have difficulties understanding your child’s speech at age three, I encourage you to get a screening through your local school district (if you are in the US). Read my post on phonological delays as well as my post on articulation delays for some more in depth information on this topic. 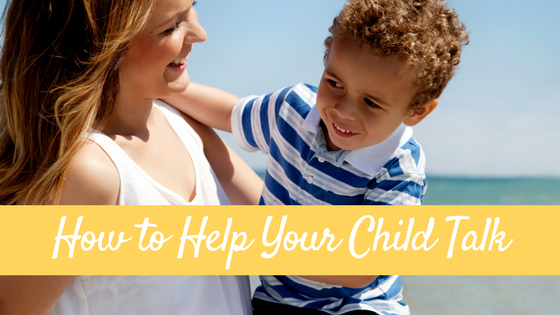 But the bottom line is that if your child is hard to understand, have him looked at at least. Children with early speech and language delays are more at risk for later learning issues so get treatment early (if it’s needed). Socially, your child should be starting form friendships with children he spends time with (school, neighbors, park, church). 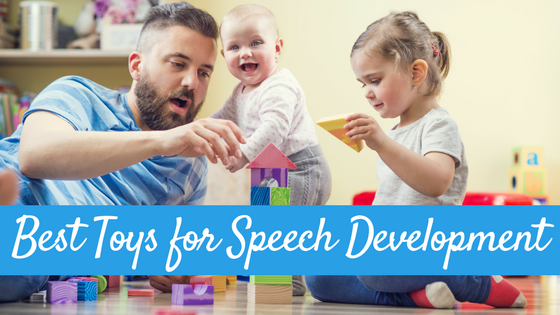 He will be learning how to use his language to navigate through his play schemes with friends and use his language to give and follow directions with both peers and adults. He should be using eye contact with peers and adults when he is having a conversation. In his play, you should see him using more and more symbolic play (like using a play banana as a phone or using the couch as a road for his cars) and pretend play over this next year. In fact by the time he turns four, he should be engaging in a great deal of active pretend play and “make believe.” You might see him acting out some of his real life experiences or things he observes in his world, like a trip to the zoo or baking cookies. This is also the time that he should start to understand the concept and value in sharing and taking turns, and he will begin to take part in cooperative play with his peers (actually playing with them vs. next to them). He may become more interested in playing dress up during this time and hopefully will begin to really understand and participate in cleaning up his toys. WHEW. That was a LOT. Questions? Comments? Thoughts? I’d love to hear them! It really is amazing how fast they grow up! Thanks for all this information–I’m loving this series too! I found your blog through a link by a friend to your toy lists and was really interested! What a great post. 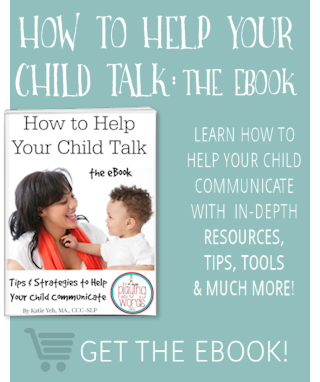 I am a speech therapist who is at home with my kids right now, but I just LOVE early speech and language development and this is such a fantastic resource to point parents toward instead of all the inaccurate information “out there” on the internet. As a side note, my daughter is turning three in a week and just seeing your description of typical language development confirms to me how incredible her language and play is (at 2.5 she was doing a lot of the almost-4-year language skills). I can only attribute it to the amount of reading and play we do together- I definitely do NOT “do” speech therapy with her as some people assume when they hear her language and speech! Anyway, thanks for taking the time to write these excellent posts, I will be bookmarking you and referring parents who have concerns about their child’s language to your blog! Sarah WELCOME! I’m so glad you found me 🙂 Isn’t it crazy watching your own children develop language? It has been so much fun watching my two so far. 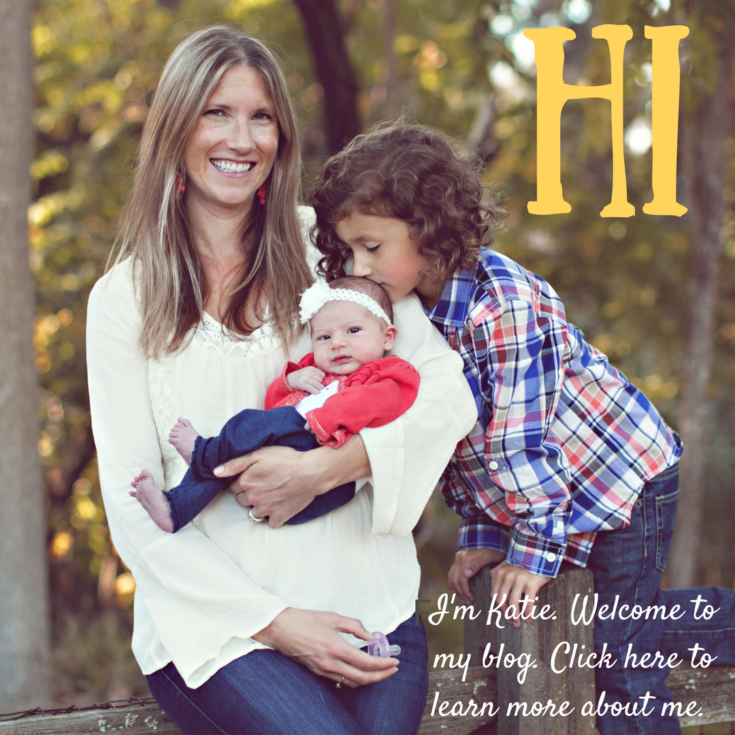 Thanks for sharing my blog with others! CC recently posted..All Aboard the Polar Express! I will take note of these things cos this might help me with my kids soon. Thank you for this. I really appreciate this share. Thank you for this info. I am a Preschool teacher and there are a few kids in my class that I am concerned about. I was wondering what info to pass on to the parents, what testing to recommend, and where to point them for additional help. Thank you for giving me a place to start. Hi, my son will be 4 in October and he has not spoken a word as yet. I took him to a speech therapist who tells me that nothing is wrong with him and some kids takes longer to talk. I am beginning to get worried as I would like him to start preschool in September but he is not talking. What are your suggestion? Can you help? Thank u! Hi there, my recommendation is to get second opinion ASAP. A typical thee year old speaks in short sentences, so it is concerning to hear your son has no words at all. Good luck to you! Your blog is so informative! I’m really appreciating all that you’ve written. I have a 3 year old who talks like an adult, she is so aware of the what, where and why. And now I’m seeing it all again with my 12mo and enjoying reading your stage appropriate posts. Hi and welcome! SO happy to hear you are enjoying my little corner of the web. Let me know if you have any questions! This is a great website – full of fantastic information! 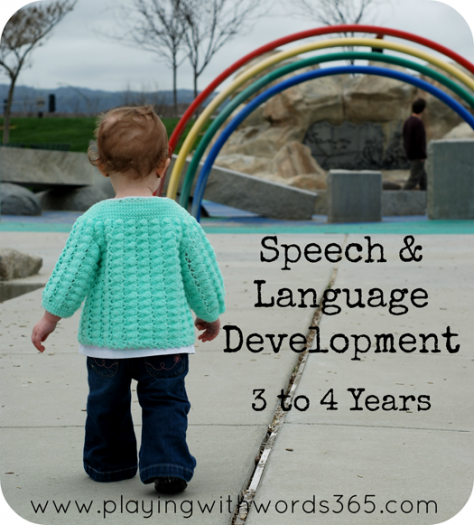 I am an early intervention SLP and most of my kids get discharged at age three. So many parents want to know what to expect for their kids after they are done seeing me at age three and I’m going to be recommending this page. Thanks! Hi Suzette! Welcome. I’m thrilled you are enjoying my site! Hi there. I enjoyed reading ur article. My son who is now 3 years didnt start talking until about 2 years. 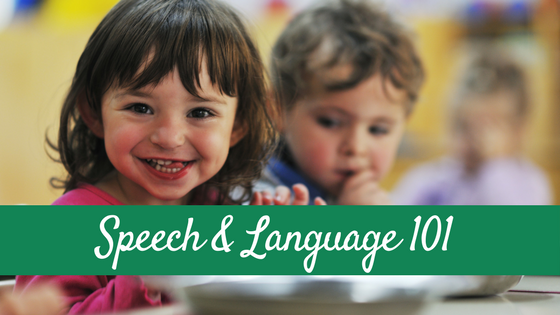 I sought the help of a speech therapist and paid more attention to his speech. He has remarkably improved. The only concern i have now is that some of his words are mispronounced especially when compared to his female colleagues at school. My question is that will this in anyway affect his speech as an older child? Is it normal for a child with a speech / language delay to also have behavioural and social issues once the comprehension and the sentence structure is beginning to develop? I have an almost 4 year old who had a speech / language delay and is coming along brilliantly with his speech however 4 months in and he is still socially inappropriate when attempting to play with other children ie he will push and become so excited that it’s hard to enforce limitation. Hi Nikki, yes we can see some behavioral and/or social issues in children with speech/language delays. We also see these in children with other delays as well so if you haven’t already, I’d be sure to have other issues ruled out in addition to the speech/language delays. Good luck! I just found your blog and found this post helpful. I have two children (5 and 3). Both of them have been diagnosed with ASD and mixed-receptive expressive language disorder. Do you have any posts that could help me with this? Thanks again. By the way, the ASD diagnosis is very new for my 3 year old daughter and my 5 year old son was diagnosed in March of this year so neither of them have started speech therapy as the wait lists in our state are long. Dear Katei, my son will turn 3 in Nov 14. He has a habbit of thumb sucking. He also has a delayed spech. he speaks very few words( vocab of around 10 words). although he understands common commands like sit up, give me the toy, lets sleep, lets eat, lets play. he is toilet trained and informs most of the time also. We put him in a play school and he has now become more active and tries to speek many words, not clearly but attempts. do we need to consult a speech therapist now. My son is three years, two months old. I’m concerned about his speech-language abilities. He seems to understand more than he can express. He often sings songs or repeats questions instead of answering them right away. He’s started being able to answer questions such as “what did you have for snack at school today?” – answering with one word. I’m in early childhood education and my gut is telling me there’s a delay. What do you think? Thanks for your help. Thank you so much for all the advice and information. Couldn’t have been a better timing. My 3.5 yo preschooler is so chatty and loud at home but so quiet hardly talks at preschool. Teachers thought he might have a problem, go figure! My grand daughter 4 years old doesn’t talk like other 3-4 year olds. She plays alone alot even when there is some one else to play. She is always creasing my face. She has difficulty understanding a command ex Clean up your toys. Where can I get help for her. My daughter her mom yells alot at her because she feels she’s miss behaving help me help her please. 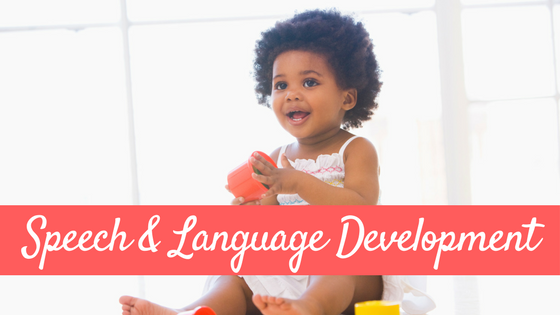 I wanted some guidance on how I can help my daughter to improve her expressive and receptive language. She is 14, autistic, ADHD, has been receiving speach, OT, and behavior theraphy yet has made no significant improvements. She is still considered non verbal. What can I do to start from scratch and help her gain this skill??? My grandsons are almost 4, they each have speech impediments, i.e. they say w for l . How can I help them learn to enunciated while having fun? I have noticed about my son’s (4yr) speech, that he stutters ever since he started talking. Do you think this is going to be lifelong? when should i start with his speech evaluation or training? My daughter is 3 1/2. I have two questions. 1) she does not speak nearly as much at school as she does at home. Does this mean there is a chance of a delay? 3) She doesn’t always answer questions especially if she is busy, and cannot answer why questions.